Adrenalin pumping, anticipation rising, excitement building, nerves tingling, knots in my stomach. Race day is here. It’s always the same, it never changes. From young lad to middle-aged man, every grand prix Sunday. Circuit arrival – coffee - locker - computer – coffee - emails – picture editing – more coffee! As in almost all walks of life there’s a regularity to the working day – but I don’t mean to be blasé. I’m always aware I’m living this life in the intoxicating world of Formula 1. One and a half hours before the five red lights go dark, the Drivers’ Parade gives the fans a chance to see their heroes. Waving from a flat-bed truck trailer, or, and way more appealingly, perched atop a suitably classic car, the overly pampered pilotes give up just a little of their time to acknowledge those that pay to see them. It’s not just the fans that are happy.. In the overly protected, overly indulged and overly precious celebrity sports star world we live in, where top F1 teams increasingly engage in something akin to negative PR, hiding the drivers away and excessively restricting access – creating a melee when their spoilt celebs actually appear – photographers obviously struggle. When the unnecessarily fussy umbrella-carrying, driver-fluffing junior PR functionaries momentarily lose control of their charges, the snappers can enjoy some freedom. The Drivers’ Parade ‘Green Room’ is just such a time. Melbourne and Sochi are the best. Not the normal FIA garage with the photographers standing outside, rather an area ‘we’ are allowed to enter. Albert Park's outdoors, nicely lit offering is a relatively spacious affair, always with a new-season buzz in the air. Sochi, not so much! 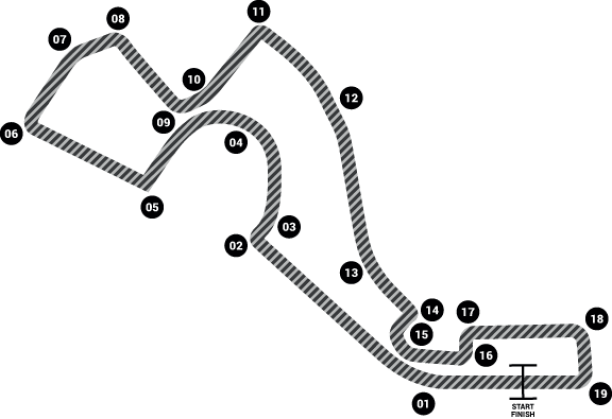 A dark and sombre square-shaped tunnel – no more then ten feet wide by nine feet high – leading from the paddock to the pit lane serves as the staging post. To most that may sound sad, to me it's sensational! All shadowy shapes and silhouettes, this 30-foot-long opportunity for some one-off pictures is a treat. Standing with my colleagues at the tunnel’s pit lane exit side, I’m waiting for our prey to arrive. “Let's hang back and go in when the megas arrive” I opine. “Does Wehrlein count?” questions LAT’s main man Steven Tee. “He thinks he does!” answers Getty veteran Mark ‘Thommo’ Thompson. Wehrlein arrives; we remain still. Marcus Ericsson, Jolyon Palmer, Nico Hülkenberg all file in and still we wait. “Dan Ric's arrived” says Steven. Thommo – Red Bull’s snapper - gets jumpy, “Come on – let’s get in there,” I shout, and away we go. Making straight for Dan, I start to shoot. Enthusiastically telling Marcus about a TV series he’s enjoying, he barely notices I’m there. Kimi Räikkönen, standing mid-tunnel, chats to no one. Carlos Sainz and Max Verstappen, soon joined by local boy Daniil Kvyat, talk and laugh about the things 20-something multi-millionaires find funny. Massa, Grosjean, Ocon, Magnussen, et al, stand in a tight group at the far end of the tunnel. There's a squeeze from behind; someone’s – politely – pushing through. It's Lewis of course, keen to find somewhere to stand alone. Seemingly uncomfortable in the company of his competitors, Hamilton always – at every Drivers’ Parade – finds his own space, seeking solitude, habitually with headphones snug on his head. Bizarrely and no doubt by design, the three times world champion’s solitary air makes for good pictures. The tortured soul standing alone with his thoughts will always attract a lens or three. Trouble is – whether genuine or an act – pictures of F1's very own brooding bloke are becoming a tad tiresome. We – the F1 photo crew – have moved on. Sure a sulky shot of Stevenage's finest can and will occasionally fit the bill, but pictures of guys who have nothing to be sad about, smiling and enjoying their luxurious lives, make for a more uplifting effect. Valtteri Bottas – or Valyerri, as the Russian fans call him – looks calm and relaxed, casually talking with his friendly fitness trainer Antti, confident that everything is in place for a good afternoon. Here comes Seb. Headphones wrapped around his neck, striding through the throng, Ferrari’s team leader suggests it’s time to leave. And with that the whole noisy gang do as they’re told: filing out into the bright Sochi sunshine, they wave to the crowd.